THE B-MOVIE NEWS VAULT: Duck You Suckers! 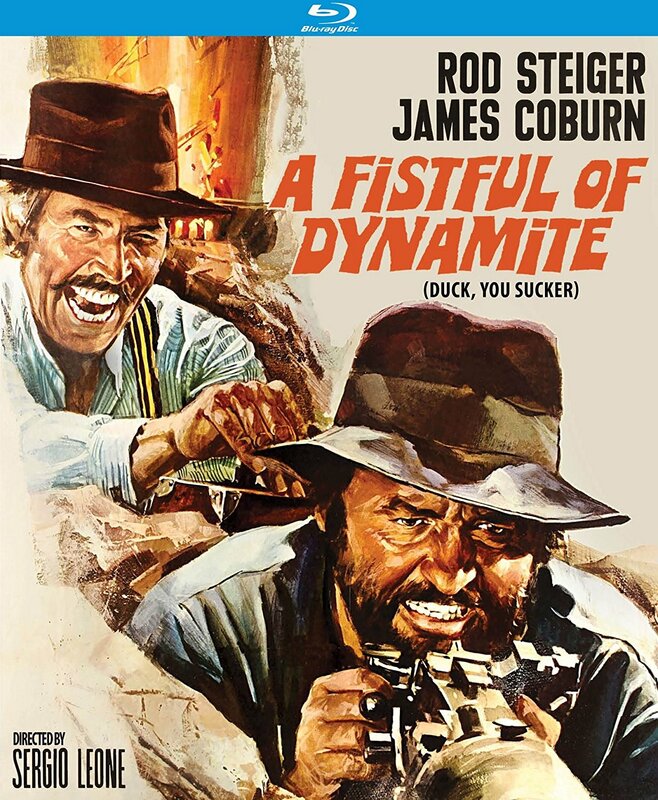 A FISTFUL OF DYNAMITE Now Available on Blu-ray from Kino Classics! Duck You Suckers! A FISTFUL OF DYNAMITE Now Available on Blu-ray from Kino Classics! SERGIO LEONE'S LESSER KNOWN SPAGHETTI WESTERN CLASSIC GETS A BIG UPGRADE WITH THIS NEW KINO RELEASE! When you hear Sergio Leone's name, it instantly conjures up memories of A FISTFUL OF DOLLARS, FOR A FEW DOLLARS MORE, THE GOOD, THE BAD & THE UGLY, and perhaps even ONCE UPON A TIME IN THE WEST. 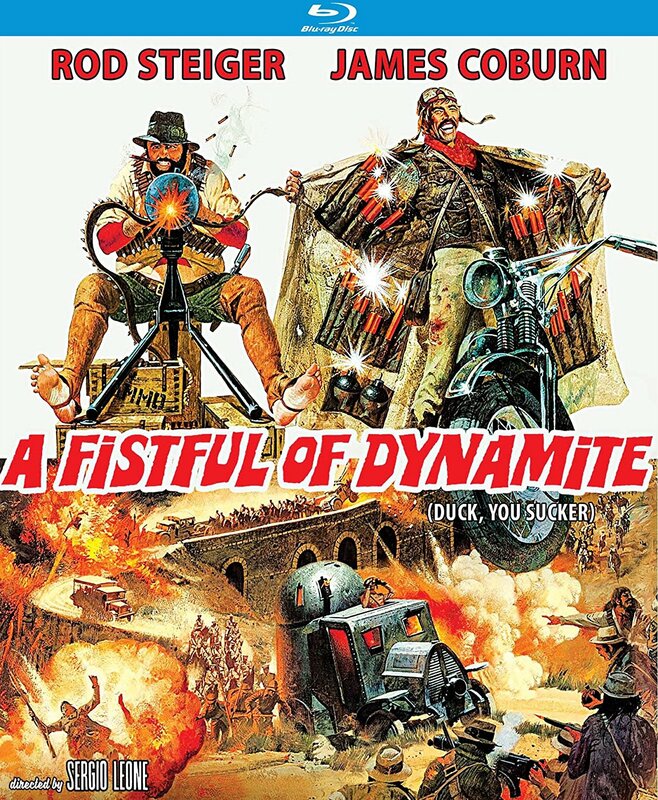 However, I expect that very few of you Vault Dwellers would have recalled Leone's A FISTFUL OF DYNAMITE (aka DUCK, YOU SUCKER), which sadly doesn't seem to get the same widespread love that his other films enjoy. But that may all change now that Kino Classics has given this oft-overlooked Spaghetti Western a fantastic, extras-packed Blu-ray! Synopsis: From acclaimed director Sergio Leone comes his final Western--a relentlessly entertaining film that teams an Irish explosives specialist with a Mexican peasant-turned-revolutionary leader with thunderously explosive results! Starring acting giants Rod Steiger (IN THE HEAT OF THE NIGHT) as Juan Miranda, a cigar-chomping, salt-of-the-earth peasant with a Robin Hood heart and James Coburn (HARRY IN YOUR POCKET) as John Mallory, a dynamite-tossing Irish revolutionary who has fled to Mexico to practice his skills. Together, they're a devilishly volatile mix of anti-establishment philosophies and violent tendencies as they attempt to liberate political prisoners, defend their compatriots against a well-equipped militia, and risk their lives on a train filled with explosives. Featuring a haunting and rousing score by iconic composer Ennio Morricone (DEATH RIDES A HORSE, NAVAJO JOE). NEW! Audio Commentary by Filmmaker Alex Cox! Audio Commentary by Film Historian Sir Christopher Frayling! 'Trailers From Hell' with Brian Trenchard-Smith. Kino Classics' A FISTFUL OF DYNAMITE seems to be a port of MGM's previous Blu-ray release of the film, however, the audio commentary with Alex Cox, image galleries, and Trailers From Hell segment are all brand new! A FISTFUL OF DYNAMITE is now available wherever Blu-ray discs are sold, and costs around $20! 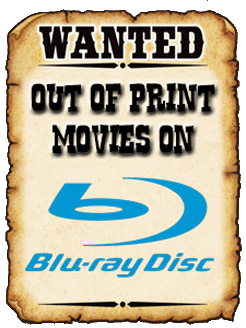 You can order yourself a copy now (to complete your Sergio Leone collection) from AMAZON, BULLMOOSE, or DIABOLIK DVD! Not too familiar with this movie? Then be sure to check out the trailer below before buying!